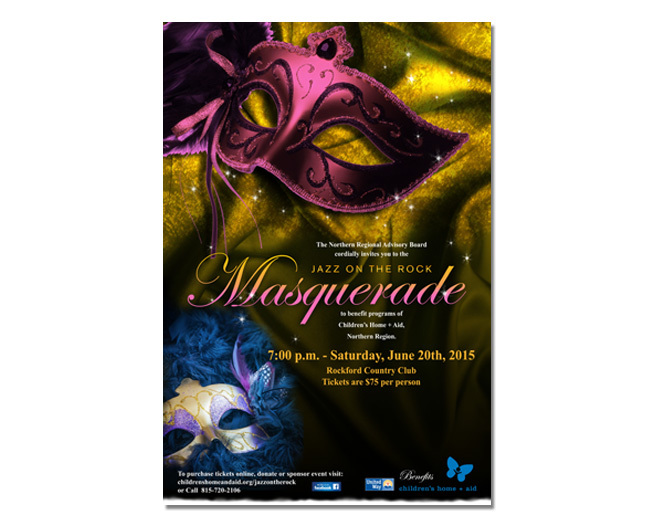 Children’s Home + Aid’s 2015 Jazz on the Rock Masquerade poster. The design was created to promote the Children’s Home + Aid Society of Northern Illinois’ 2015 Jazz on the Rock, Masquerade, major fundraising event. Funds raised go to support programs that prevent child abuse and neglect in the Rockford, Illinois area.